Earning the highest rating of 5 stars for customer satisfaction, Mark Kaufman Roofing is among Florida’s most recent Pulse of the City News honorees. Florida: Mark Kaufman Roofing Contractor, Inc. was recently honored among Florida companies awarded The Pulse of the City News Customer Satisfaction Award for providing outstanding customer service. In addition to this recent Pulse of the City Award, Mark Kaufman Roofing has also been honored for outstanding customer service by Angie’s List, and has received the Best of North Port and Englewood Awards and holds an A+ rating with the Better Business Bureau. However, Kaufman notes that the most important measure of his company’s success is that one-third of its new jobs come via referrals from previous customers. 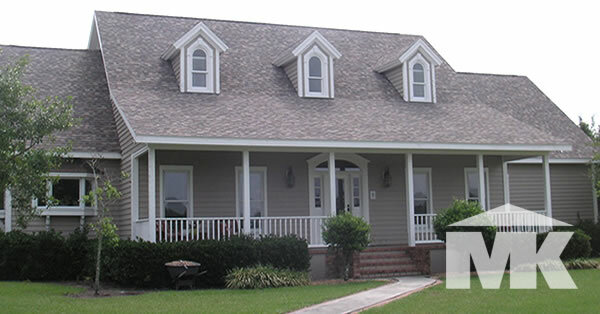 About Mark Kaufman Roofing Contractor, Inc.
Mark Kaufman Roofing Contractor provides cleaning and coating, blown-in attic insulation, gutter guards and roof repair/replacement on tile, metal, shingle and flat roofs. The company is an Owens Corning Platinum Preferred Contractor, which means its installers are trained at the highest level and can offer the best warranties available. Employees have also trained with the Tile Roofing Institute, Polyfoam Tile Adhesive, The Sarasota Manatee Roofing and Sheet Metal Contractors Association, Florida Roofing and Sheet Metal Contractors Association and Duro-Last Roofing. Mark Kaufman Roofing is a true family business with Mark’s wife, Doris Kaufman, serving as Vice President and Mark’s son, Shaun Kolke, serving as the Lead Estimator. Mark Kaufman Roofing is located at 1001 Corporate Avenue, Suite 105 in North Port, Fla. For more information, call 941-426-5241 or email info@mkroof.com. Find the company online at www.markkaufmanroofing.com, on Facebook at www.facebook.com/markkaufmanroofing, on Twitter @markkaufmanroof, and on Instagram @markkaufmanroof.